I coach leaders who have a track record of success, a desire to make an even bigger, meaningful contribution in the world, and have servant-hearts. Those are my people. With their big personalities and big dreams comes a lot of responsibility, overwhelm, curiosity, questioning, and desires. Each time we experience a win, either in our work or our personal lives, we raise the bar on ourselves. Our moments of joy are fleeting, as we immediately and unconsciously move the goal post. We do it in our workouts; we do it in our businesses; we do it with our children. Each time we raise the bar, we raise expectations with ourselves as well as externally, which turns us into over- thinkers and worriers. Most of my clients get paid to be creative, and I notice they immediately struggle to be centered and creatively disciplined because they’re so caught up in their heads. I believe we all have the same goal in life: It’s to experience the highest expression of who we’re here to become. How can we do that if we’re living in our heads and not our hearts? I was listening to the beloved Oprah the other day, and she said something so profound. “You can’t get away with living on the planet as a spiritual being having a human experience, without having a spiritual practice, if you’re committed to experiencing your highest self.” In other words, you can’t be all that you’re here to BE unless you’re willing to nurture the spirit in you. Hear me out. We all know this because we’re smart, driven people. And yet, we ignore it. What ends up happening? We may end up with what may appear as some version of a fairytale life, and yet our spirits aren’t alive. If that’s your experience, then I invite you to sit with the question, “Is this is all worth it?” and listen to the answer. Make space to be still – if you have to start with 5 minutes, start with 5 minutes. Recommit every day to who you want to BE in the world. This looks like putting a stake in the ground each day and claiming who you want to be. For example, my intention today is to be decisive. Ask for assistance – Invite the Universe/God/Spirit into every moment of your day – our ultimate goal is to connect ourselves to something greater, so put the invite out there. These are three simple steps. I guarantee you that if you choose to make them habits, you will awaken your spirit and feel a much greater sense of aliveness. It’s that aliveness that’s your truth. It’s when you’re living your truth that grace and mercy pour out of you and allow you to experience the joy and purpose that is available to you in spades. I’m on a mission to help people reconnect to their true essence and experience their highest expression by taking a hard look at their leadership. 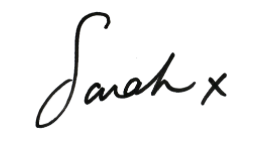 If you’re curious at all, please email me directly at sarah@sarahgibbons.co and we can set up a time to talk.